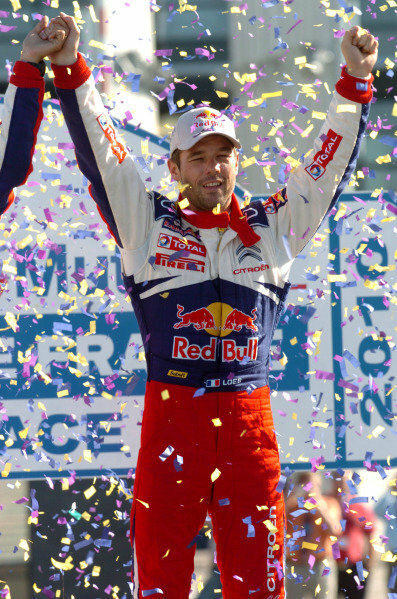 Sebastien Loeb (FRA), Citroen, sprays the winner's champagne (cremant d'Alsace) on the podium in Strasbourg as he celebrates his seventh world title.<br /> World Rally Championship, Rd11, Rallye de France, Strasbourg, Alsace, France. Day Three, Sunday 3 October 2010. 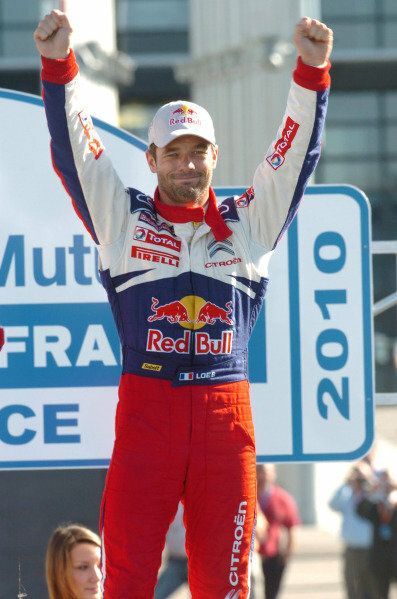 Sebastien Loeb (FRA), Citroen, celebrates his seventh world title.<br /> World Rally Championship, Rd11, Rallye de France, Strasbourg, Alsace, France. Day Three, Sunday 3 October 2010. 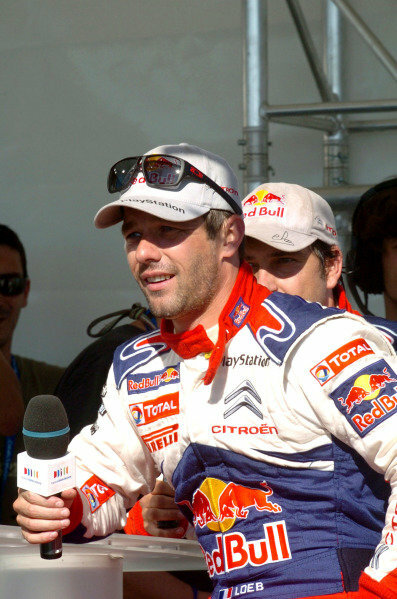 Sebastien Loeb (FRA), Citroen, on the podium in Strasbourg celebrating his seventh world title.<br /> World Rally Championship, Rd11, Rallye de France, Strasbourg, Alsace, France. Day Three, Sunday 3 October 2010.